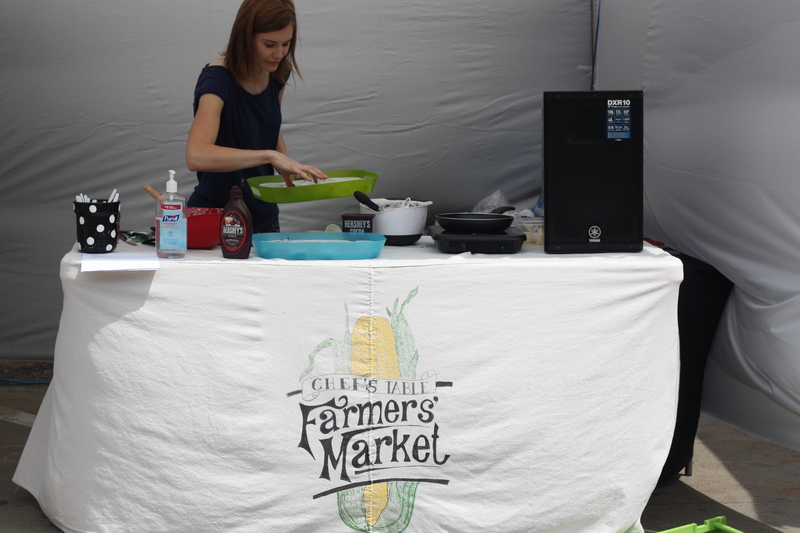 I was able to do another cooking demo at the Farmers’ Market yesterday! I was so excited because this time I knew what I was getting into, but I had no clue what to make. I wanted to make another dessert or breakfast type food, and I needed to include an ingredient from the market. I decided to attempt crepes, which I’d never made before. I knew they had a lot of eggs in them and our market is full of egg sellers. From there, I just had to pick my flavor! The market was a blast once again. It was very gusty but the sun was out and the temperature was perfect. 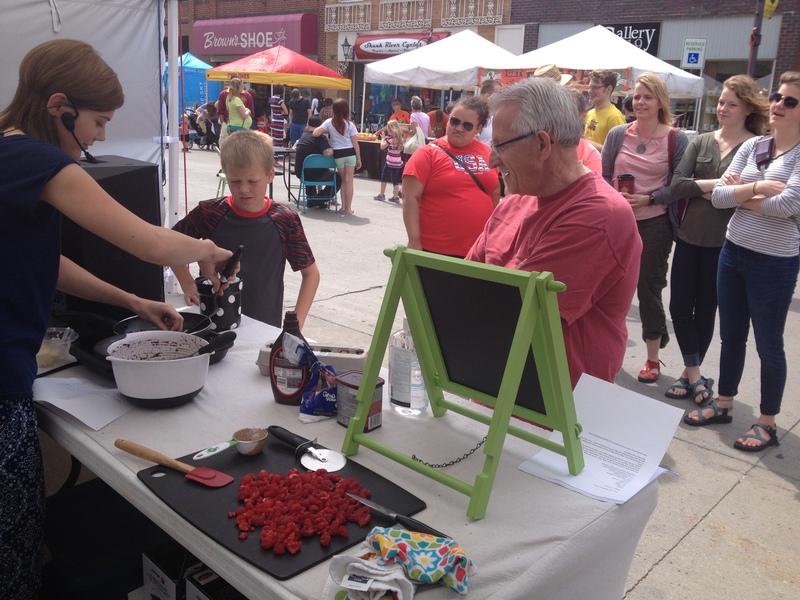 The little crowd that watched me was very encouraging and even clapped when I was able to flip the first crepe successfully, which was very sweet. 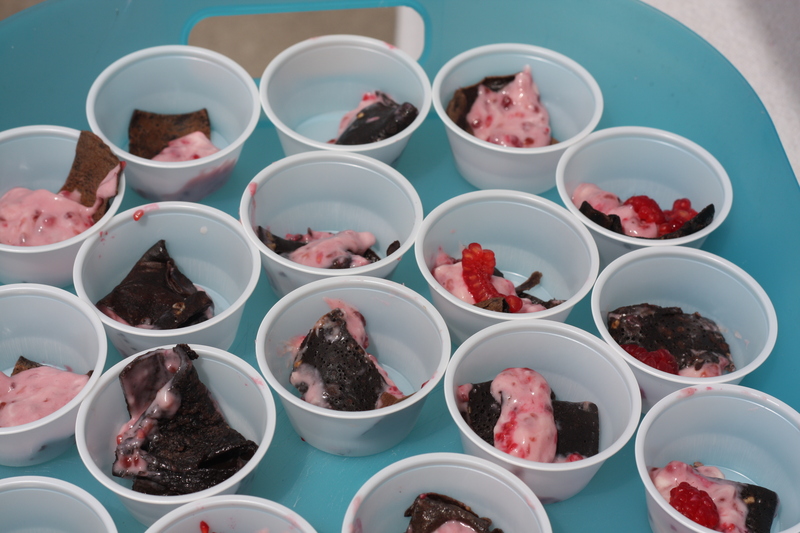 We gave out so many samples! We left before they were all gone, but there were only about 10 left. I ran out of filling, so we just cleaned up and took off after that. 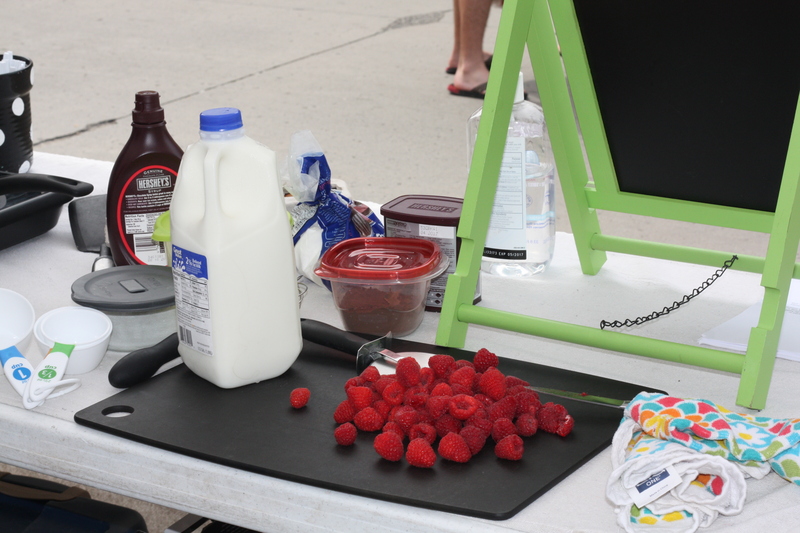 Cooking the crepes outdoors was pretty easy, so in your own kitchen it should be a breeze. Try them out and let me know what you think! In a large bowl, whisk together eggs, milk, flour, cocoa, and sugar. Heat a large skillet to medium heat and add about a teaspoon of butter. After butter melts, add 1/4 cup of the batter and tilt the pan to make an even layer on bottom of pan. Cook until set, about 1 minute. Using a spatula, lift the sides and gently flip the crepe over. Cook for one minute. Repeat with remaining batter. In another large bowl, whip cream cheese and powdered sugar until blended, about 3 minutes. Beat in jam until combined and then fold in raspberries gently. Use to fill crepes. Drizzle with chocolate syrup if desired. They look delicious! 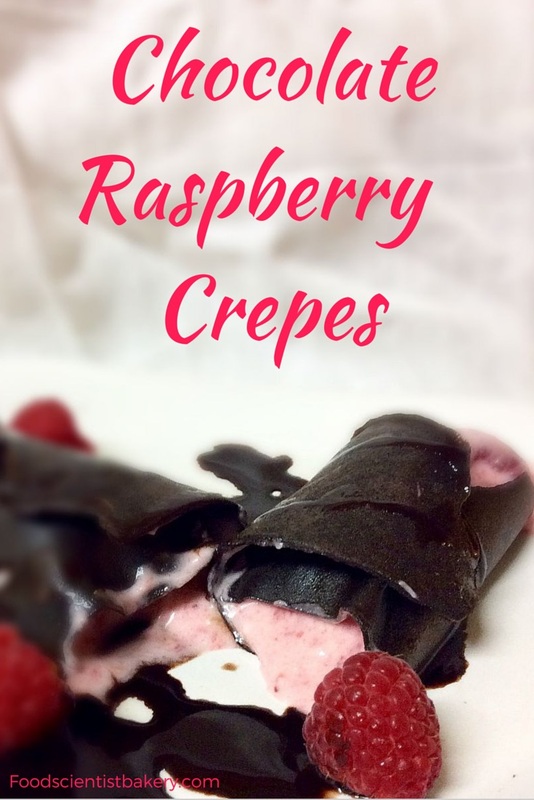 Love chocolate and raspberry together, great combo. 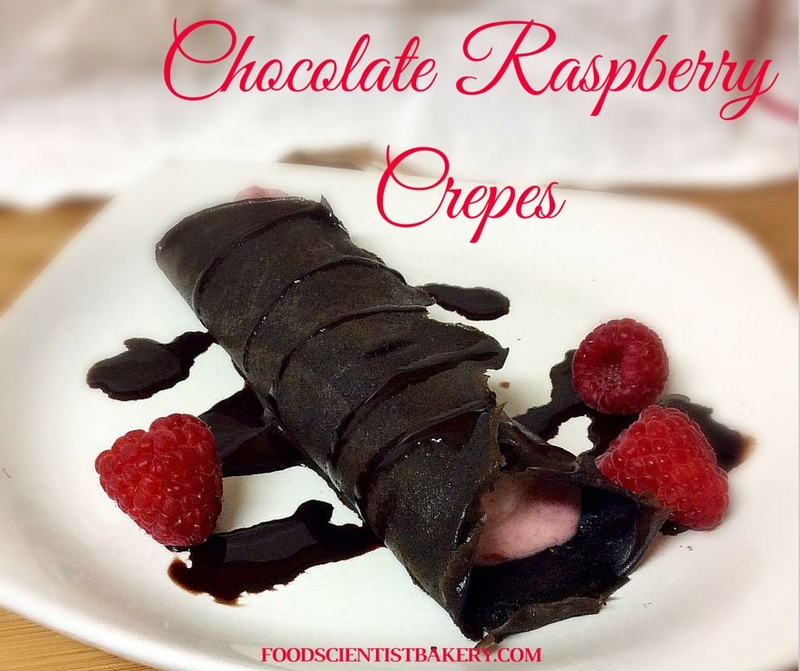 Chocolate crepes sound amazing! Made these tonight! Huge hit for dessert! But mine came out with a greenish tint and didn’t look nice and black like yours. Tasted amazing though!!! Aw, yes, I did use a very dark cocoa so that might’ve done it. You could always try adding a little more cocoa if you want. Glad they tasted great anyways!! Well my local store was out of raspberries so i changed it to blackberries, and strawberries. It was still absolutely delicious. My boyfriend, and my picky daughter loved them. I’m actually sitting here eating the left over creme cheese, and berry filling, lol. Ha, yes, the filling is kind of the best part! So glad you enjoyed them!